E- Commerce refers to the selling and buying of goods and services electronically. Osiz Technologies, a preeminent E-Commerce portal development company in India to embellish our clients business growth and to facilitate our client’s prospective customers. 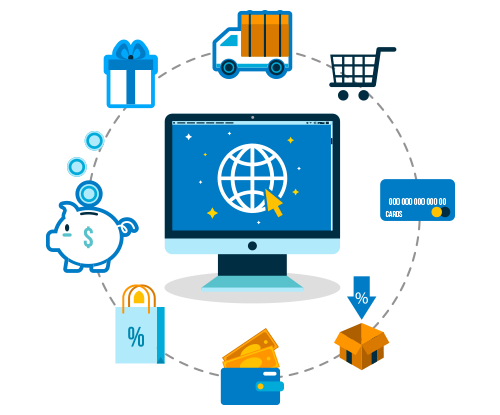 Our E-Commerce portal development service mainly focuses on our clients desires and needs and work for that to gratify them. Why Choose the E-Commerce Portal? We provide internal end to end E-Commerce solutions for business to business through inter company support, distributing marketing materials like flyers, brochures and so on to enhance your business support. We provide these B2C service for external user interface that provides ability for the end users to view your products as well as their specifications that enhance your brand identity among them. We offer the full fledged data. We provide an administrative module that is more beneficial for the administrator to efficiently manage and maintain the portal as well the content across the portal through content management system. Through this, you can also manage your user details and handling the complex multiple reports become easier. Utilizing professional images in your portal development aid our clients’ customers to know how the certain product appears really. Professional and high quality images also project how our clients care about their product among their customers. We have skilled photographers as well as designers to produce these kind of professional images. The growth of mobile audience has reached its peak. 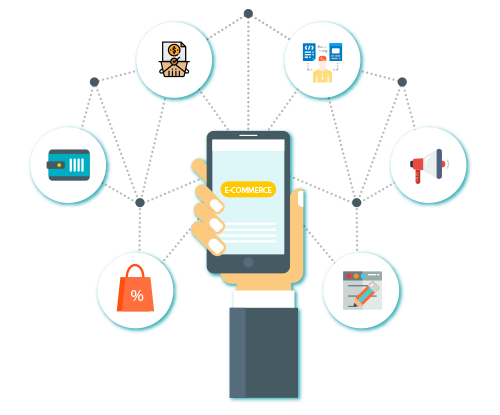 So we focus to optimize your E-Commerce website for mobiles and tablets. So that your users can acquire detailed information about the product which they desire to buy. The possibility to enhance your site’s usability and to diminish the abandonment rate is done through search bar, that helps your end user to search products from any page of an online store. We build this social proof in your portal development, that inform your current visitors about the behaviour of the previous users on the website. Through this they can discover what’s popular and trendy to browse. Magento, an open source tool that provides flexible shopping cart systems as well as the online store’s content and functionality to the online shoppers. We use this Magento tool for the powerful marketing, search engine optimization, and also catalog-management techniques. 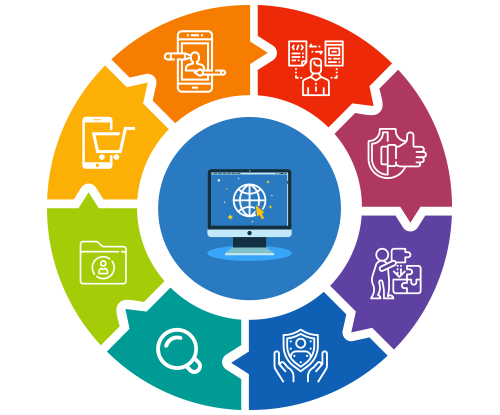 We include this tool in your portal development to provide an absolute online store solution that comprise both shop front end and administrative back end which can be customized and configured easily with ads. We use this tool to acquire wide array of functionalities and advanced features that beats your competitors in various aspects. We Possess drupal e-commerce and website with integrated features such as shipping cart module as well as ‘commerce kickstart’ module. We make use of this shopify to efficiently organize your products, storefront customization, credit card payment acceptance and also tracking and responding to orders with few clicks. Why Osiz for E-Commerce Portal Development? We have a team of highly experience and skilled e-commerce web developers as well as e-commerce app developers to deliver an amazing e-commerce portal to our clients in their desired way. We provide 24/7 support to clarify all the needs of our clients and provide a gateway to embellish their business.